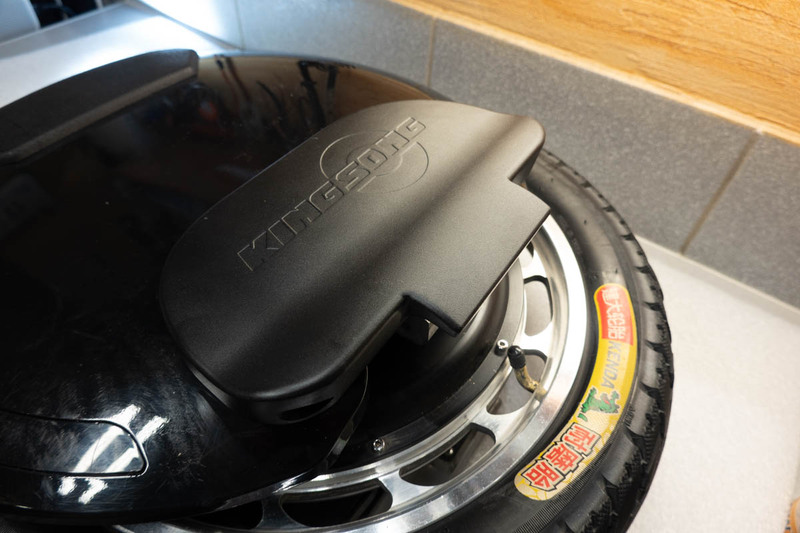 Do you own a King Song unicycle? If so, you don't have to complain the small pedals any longer. Just buy and mount large pedals by yourself. 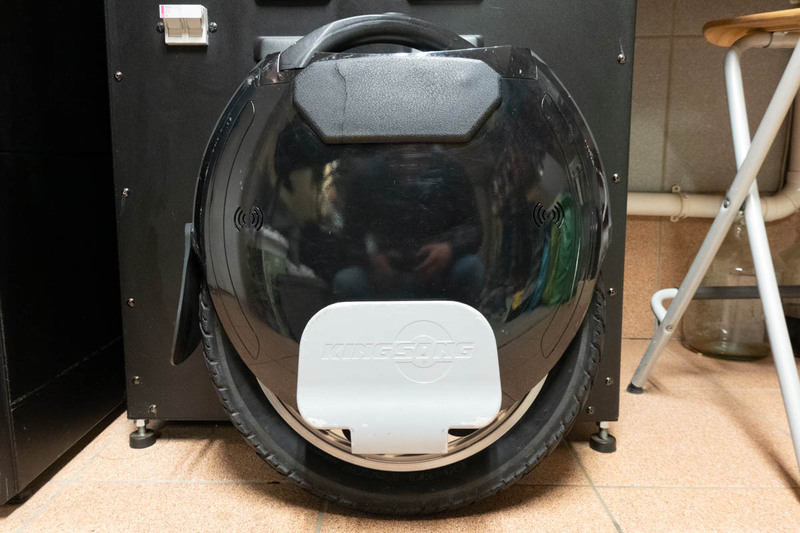 This article will show you how to quickly and easily replace the pedals in your King Song unicycle. 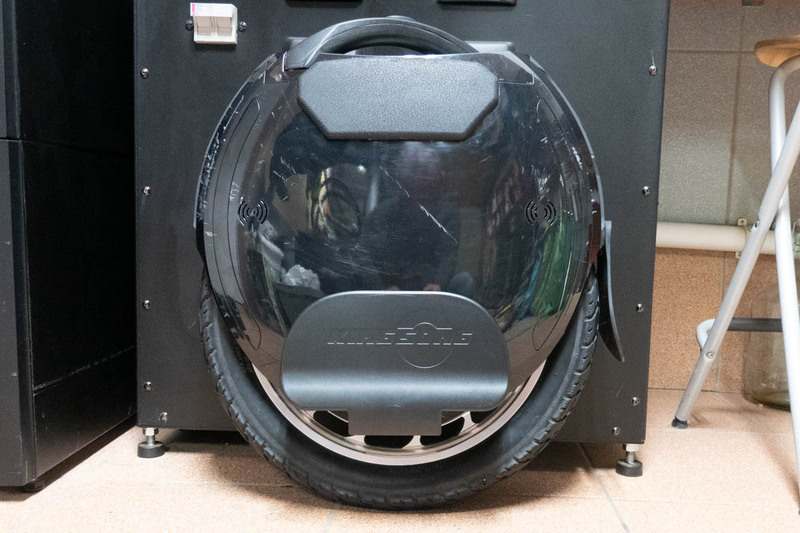 First and foremost, we all should loudly say “Thank you!” to Jason McNeil, owner of eWheels.com – an American distributor of King Song unicycles. Thanks to his commitment and initiative, unicyclists around the world can now enjoy from the benefits of a larger pedals. 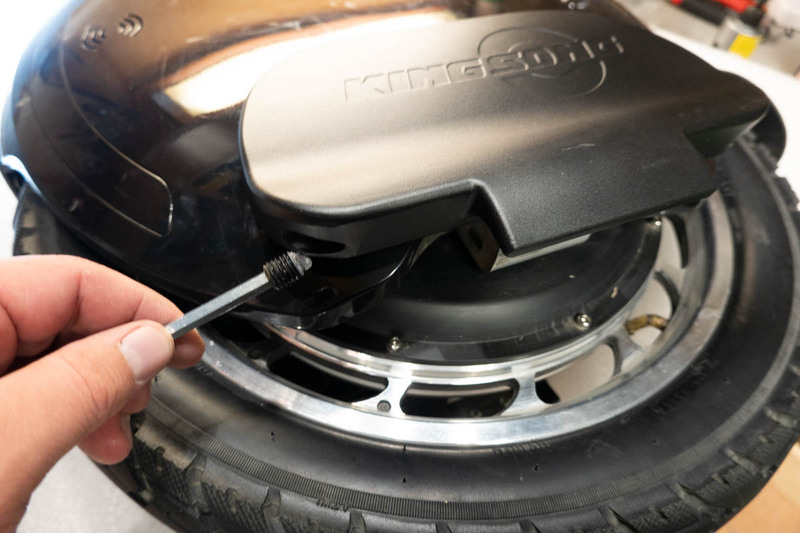 While they will show most benefits when used with 18″ wheels, they can also be mounted in smaller ones. The procedure is exactly the same. New, large pedal (upper) and standard pedal (lower). 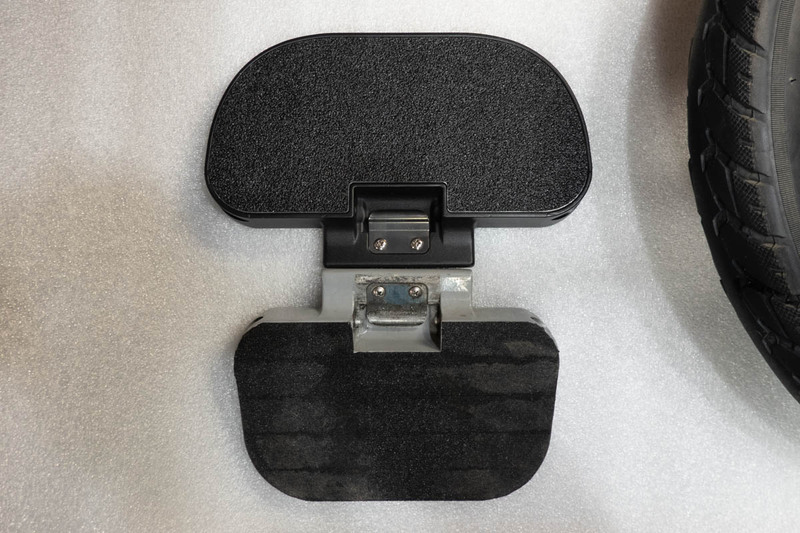 Please note that the standard pedal shown in thus photo is covered with Tesa anti-slip tape. It’s my custom modification. As you can see, whole surface of new pedal is also covered with similar, anti-slip material. It provides very good grip. optionally threadlocking adhesive, eg. Loctite® Threadlocker Blue 242 or similar. The whole operation should be done on one side at a time, i.e. first replace pedals on one side, then do it again on the other. If you decide to first disassemble the pedals on both sides, it will be harder for you to handle the wheel. And don’t even think about catching the wheel by the tire. 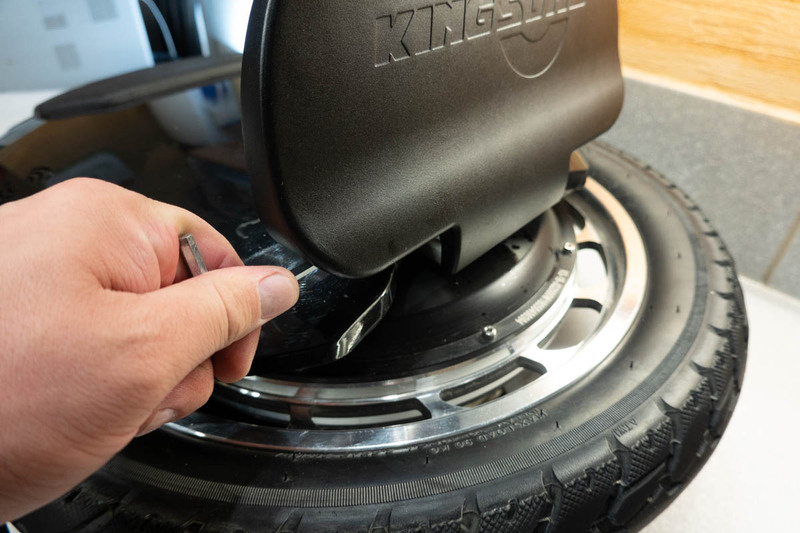 If you do so, the tire will rotate and your your fingers will jam between the tire and the casing – a really painful experience. To remove the old pedal, just unscrew the screws securing the axle, which are placed on both sides of the standard pedals. 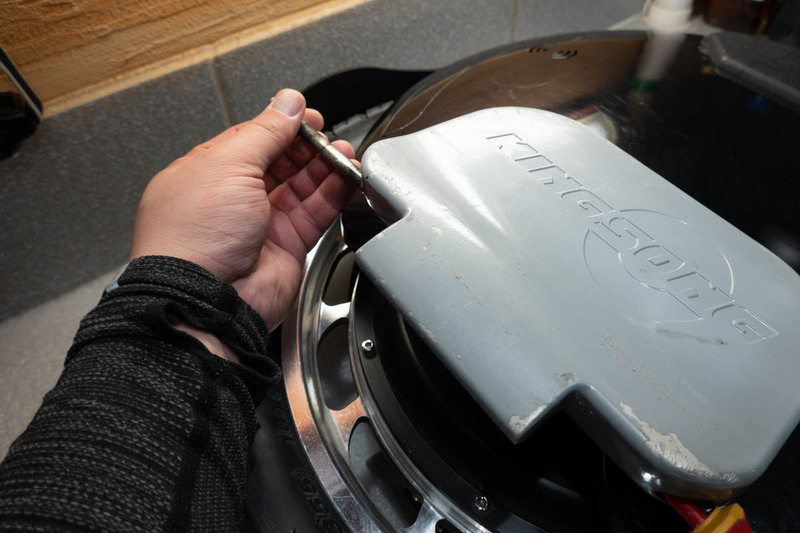 After removing both screws, just push the axle out with a screwdriver or rod. Simple, isn’t? Using 5mm Allen key unscrew the screw securing the axle. After removing the screw on the one side, repeat this operation on the opposite side. When you unscrew both screws, push the axle out of the pedal using screwdriver or rod. That’s all! You can remove old pedal. After removing the pedal, it is worth to clean up and grease the pedal mount. 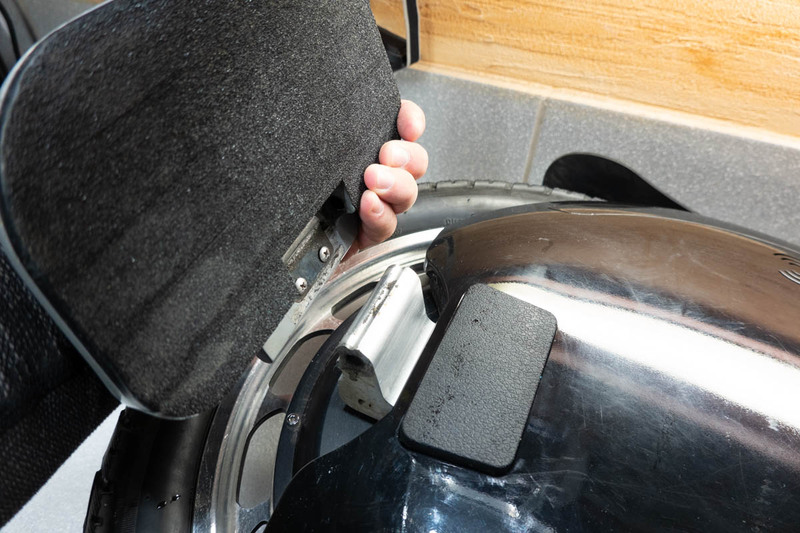 Using a cloth and cleaning agent, remove residues of old grease and dirt from the mount. It is also good to clean the axle seat. 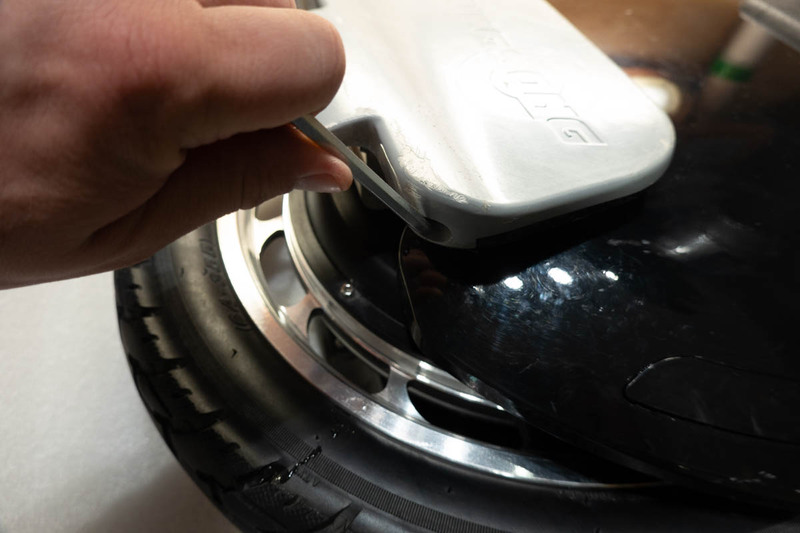 After cleaning, apply some grease to the groove in the upper part of the mount and to the inside of the axle seat. 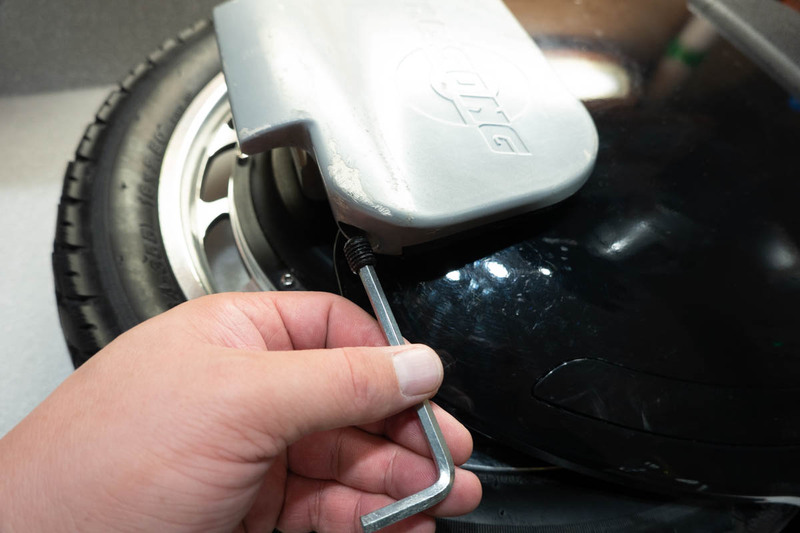 Before you mount the new pedal, clean up the pedal mount from old grease and dirt. 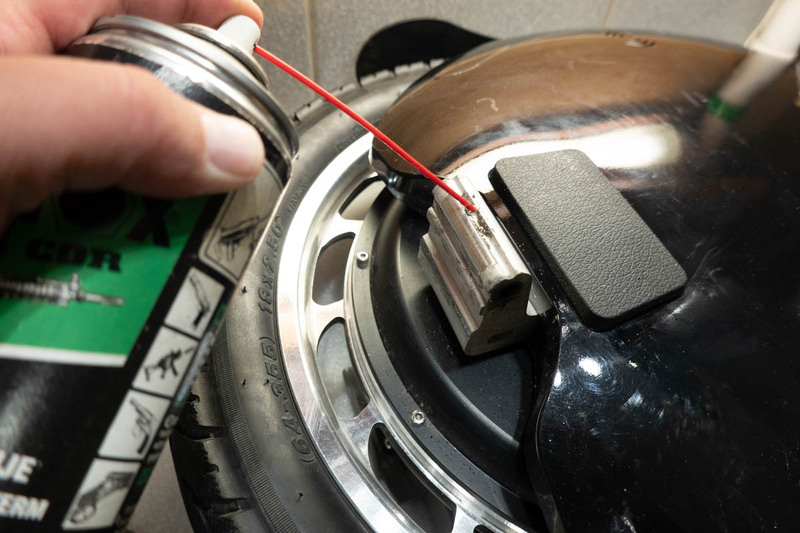 After cleaning the pedal mount, apply some grease to the pedal lock groove. 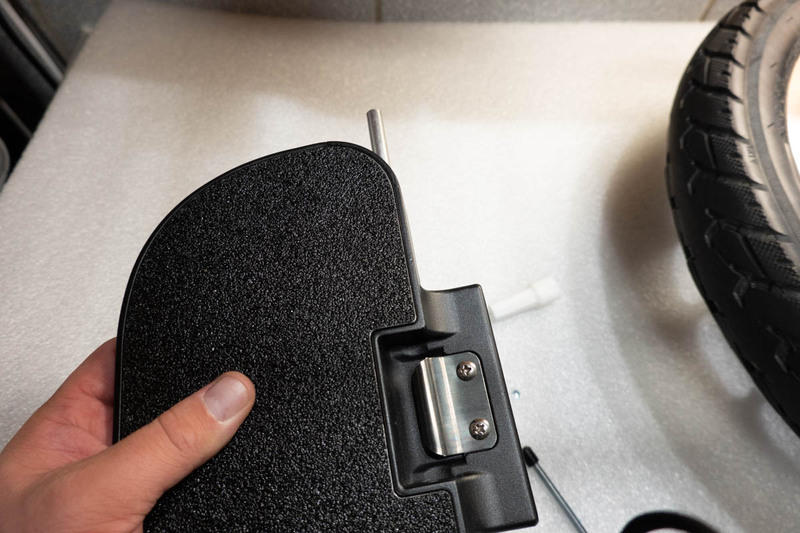 After partially inserting the axle into the pedal, you can put the pedal on the mount and using your fingers, push the axle deeper so that it engages into the pedal mount. Continue to push the axle to the stop with a screwdriver or rod. After inserting the axle, it must be secured with a screw. It’s a good idea to put a small drop of threadlocker onto the screw. 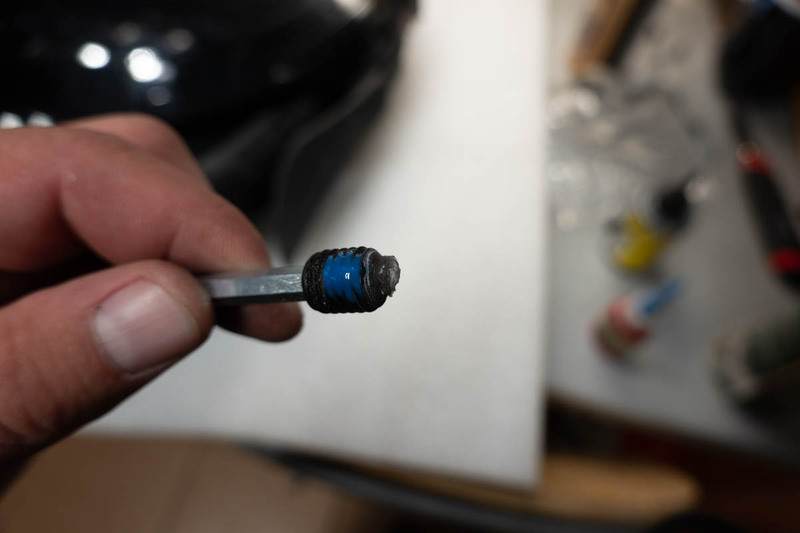 A little bit of grease can also be applied to the screw tip. Finally, check that the pedal folds and unfolds correctly. Because of new latch, folding and unfolding may require more force in the first weeks of operation. This is normal. After completing one side, repeat on the other side. 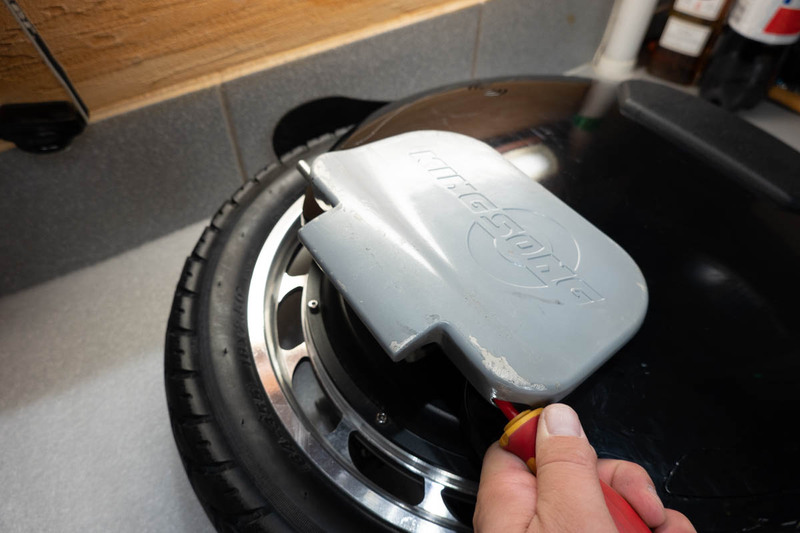 The entire operation should not take more than 15 – 20 minutes, however, when replacing the pedals it’s good idea to perform some other works – cleaning the wheel for example. The new, black pedals will make much better impression when the whole wheel is wiped clean. Before I describe the riding experiences, it is good to look at the visual differences. First, the large pedals are all matte black, which improves the aesthetics of the wheel. The gray, glossy paint was a mistake. 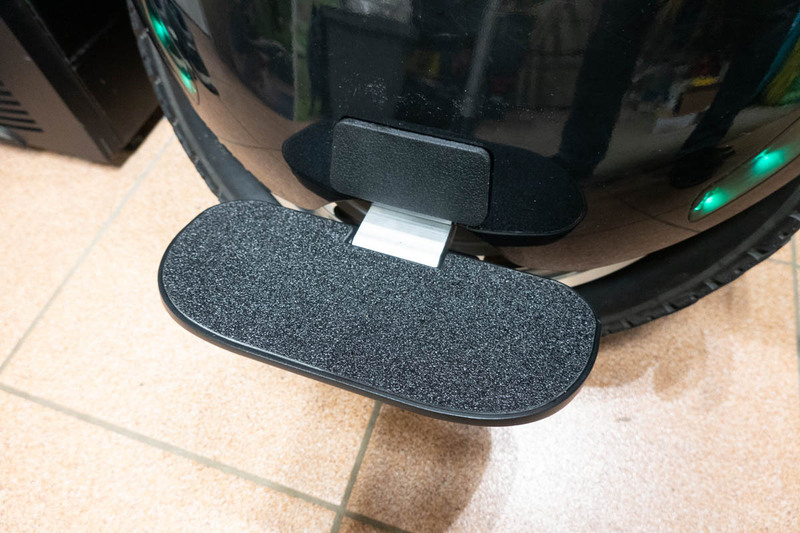 Secondly, the pedals have anti-slip covering all over their surface, not only in part. In my pictures you will not see the original, factory anti-slip pads, because I’ve already “corrected” the factory with Tesa grip tape, put on the entire pedal surface. It’s good that King Song also noticed the drawbacks of the original grip pads. Thirdly, the surface of the pedal is perfectly flat. Fourthly, there is simply more room for the sole on the pedal. Black, matte finish – that’s what was missing! EU 41 sized shoe on the old pedal. Second shoe on a new, large pedal – the difference is visible, right? Here we get to the bottom and here we find out that the exchange of pedals was worth the price – especially if the modification concerns the 18″ wheel. First of all, grip cover is very effective. The grain is thick and holds the sole very firmly. In this respect it wins not only with old gray pedal grip pads, but also with Tesa grip tape. 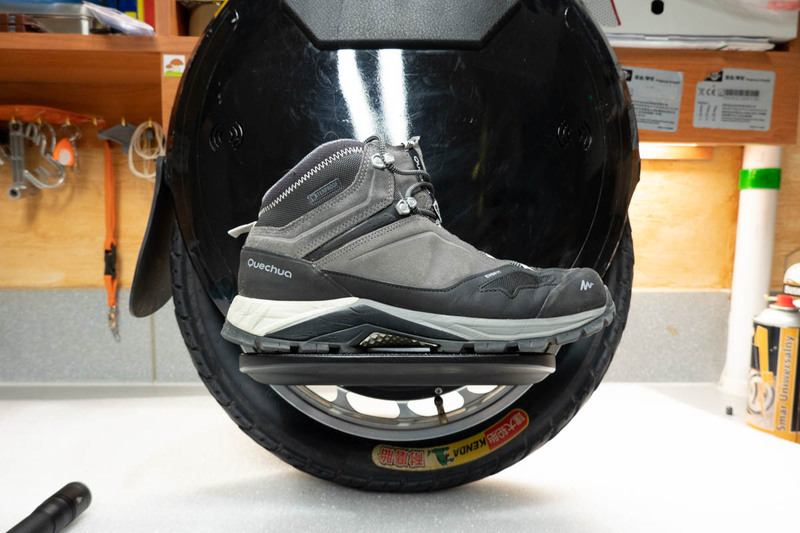 Fast driving on uneven surfaces does not result in the shoe sliding on the pedal, which positively affects the overall riding comfort and confidence. There is no longer this unpleasant and tiring feeling of “pushing” the front edge of the pedal into the foot, which on the old pedals accompanied the acceleration and riding on a steep ascent. 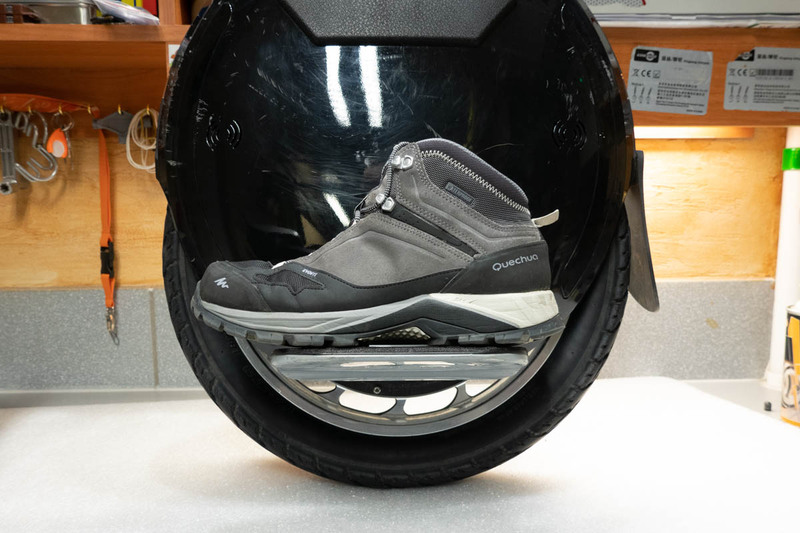 In fact, the entire foot surface is laying evenly on the pedal, and the shoe tip protrudes off the pedal in a way that is no longer relevant to riding comfort. 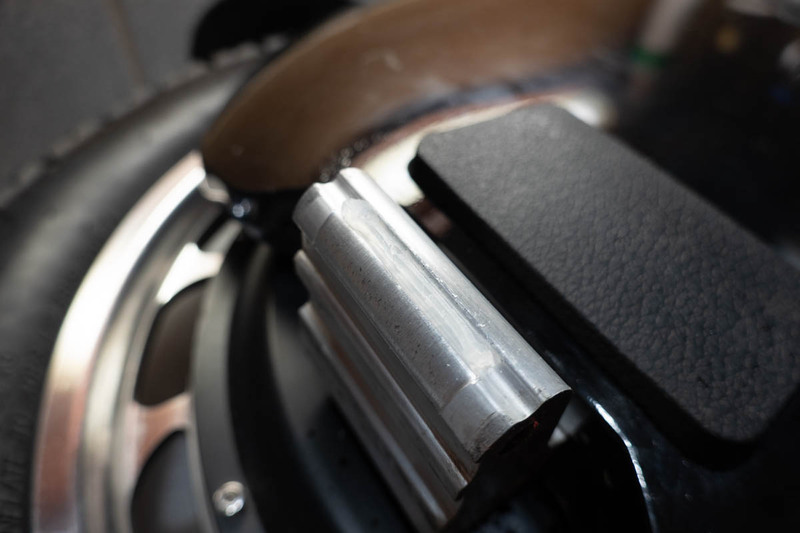 This translates into a much more comfortable acceleration – my KS-18L thanks to the larger pedal has become “smaller” in sense of similarity to 16″ wheel. It is also much easier to find a suitable shoe position, because no matter how you put your foot, it will still be lying properly. I prefer riding with feet quite heavily weaned out so that the calves just slide on the wheel pads. With new, large pedals it’s easier for me to move my feet – a bit ahead if I’m going uphill or going faster, a bit backwards if I go downhill or need more braking power. In each of these cases, my foot has enough contact with the surface of the pedal. And it’s damn good! 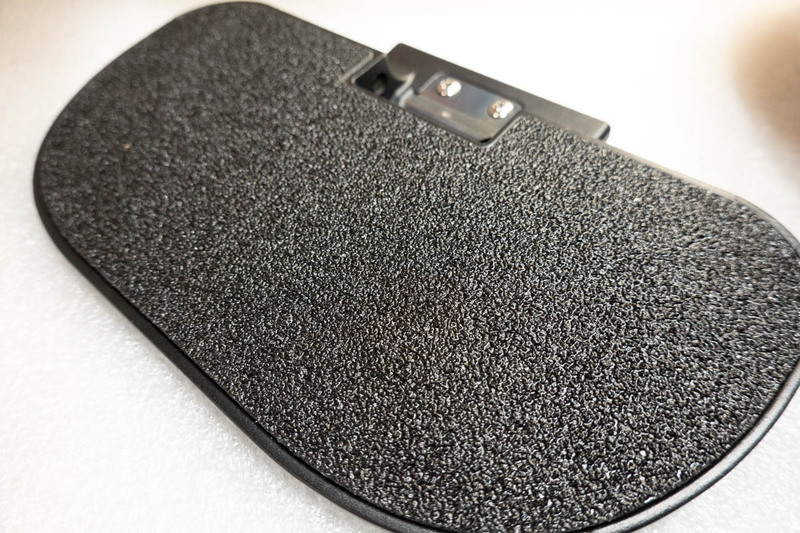 Large pedals, with good grip covering on the whole surface, significantly prevents from wobbling. Wobbling is a potentially dangerous phenomenon, which exhibits as lateral oscillation of the wheel, and is common among novices. However, it can also happen to experienced, but tired riders. It may also occur when leaning on front of the pedal (eg. when driving fast or when climbing uphill). The heel loses contact with the pedal, and the whole mass is applied at a small point near the front edge of the pedal. If the grip at this point is small, foot may easily rotate around this point, what promotes oscillations. In the case of a large pedal with good grip surface all over its area, this phenomenon is significantly reduced. Whole pedal surface is perfectly flat. It’s also fully covered with really good anti-slip covering, that firmly holds the sole in place. Thanks to its thick grain, it doesn’t clog easily with dirt or mud. New, large pedals in every aspect trump the old pedals, which means that a considerable expense dedicated to buying them returns in a more reliable, more comfortable and safer ride. Whoah, the ride is definitely more pleasant than before! If you have a free cash and you ride a lot, and you have a 18″ wheel, then you do not even have to wonder. Just get those beauties!